A review of policy issues and challenges facing agriculture and rural development in African, Caribbean and Pacific (ACP) countries from 2007 until 2015 is now available in multimedia DVD and USB stick. Knowledge and policy dialogue are a prerequisite for Brussels-based actors engaged in ACP agriculture to be able to better respond to emerging challenges. To help meet this need, CTA has just released a new multimedia pack that reviews key documents and highlights from the Brussels Development Briefings spanning eight years. Including more than 30 background research documents (‘readers’), the pack aims to provide insight from experts, decision makers and key actors, in a format that contributes to knowledge sharing amongst the development community in Brussels and beyond. Other resources include expert presentations and videos from each briefing, policy briefs and a series of infographics reflecting the most pressing policy issues and developments in agriculture, trade and rural development in ACP countries. Contents are presented under five themes, including resilience for food and nutrition security, trade and investment, climate change and sustainable use of resources, drivers of agricultural transformation and blue economy. This collection concludes a yearlong project involving annual reviews of the key documents and materials from the past Brussels Development Briefings, from their inception in 2007 until 2015. “Participants in the Briefings consistently rate the range and availability of resources at our events very highly. We are confident that the new format and revised content of the multimedia pack will build on the popularity and success of the previous edition”, said Isolina Boto of the previous edition of the DVD, released in 2012. The new edition is now available in the form of a USB stick and can be ordered through the CTA Publications website (shipping is currently only available to ACP countries). 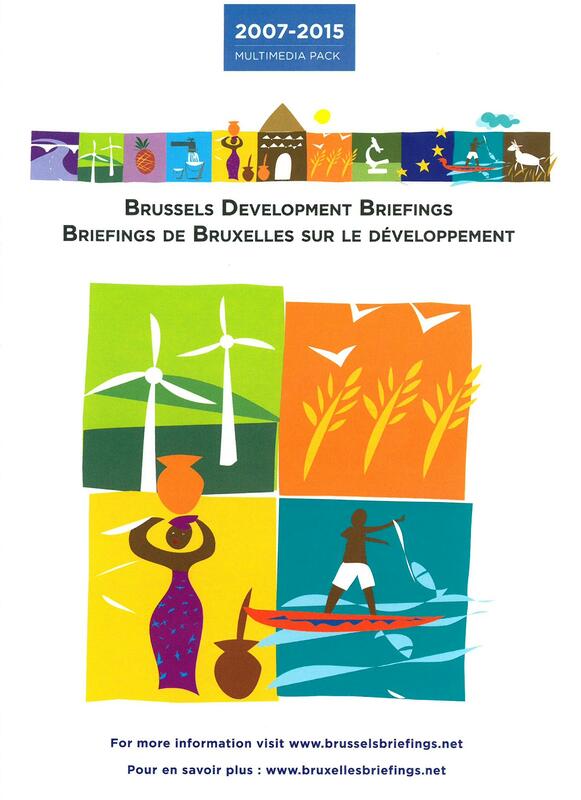 The Brussels Development Briefings are jointly organised by CTA, the European Commission/Europaid, the ACP Secretariat, Concord and other development partners. Enter your email address to follow Brussels Briefings and receive notifications of new posts by email.